The Boxing Day sales provide a great opportunity to snag a bargain, especially when it comes to big ticket items like new home appliances. If you’re in the market for a new refrigerator, washing machine, clothes dryer or air conditioner, this could be the perfect time to save stacks of cash, with retailers keen to move on this year’s appliances before the latest wave rolls in next year. So, where can you find the best deals? To offer a hand, Canstar Blue has produced this guide to some of the standout bargains currently listed with our partner websites, namely Appliances Online and Winning Appliances. We have selected appliances based on the brands that have recently performed very well in our customer satisfaction ratings, so you can be sure that you’re getting a highly-rated product, not just a cheap one. Hit the links below to jump to the appliance type you’re most interested in this Boxing Day. You can also follow the links below to visit our partner websites and check the latest deals on offer. After Christmas may well be a great time to install a new air conditioner. 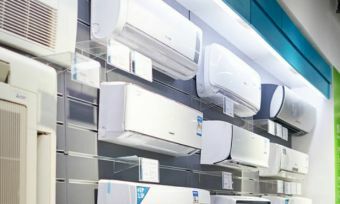 Logically, most people would do their air conditioner shopping before Christmas – both to get their cooling tool ready before summer hits, but also to prepare for hosting family and friends over the holiday period. After Christmas, demand may not be as strong, so you may be in a better position to find a deal as retailers need to work harder to sell. Holding out until a few weeks into summer may be worth the sweat if it saves you some of your hard-earned money. As a potential bargain this Boxing Day, we’ve selected the following reverse cycle air conditioner from Panasonic, highly rated in our latest air con review. This Panasonic air conditioner is already heavily discounted on Appliances Online, with a price tag of $1,750 – that’s 28% off the RRP of $2,429. Features include the nanoe-G air purifying system (which removes fine particles and micro-organisms and deactivates them from the filter), ECONAVI sensors to moderate temperature output according to room usage, and the combination of AEROWINGS to direct airflow for either fast cooling or shower cooling with iAUTO-X to automatically switch the fan speed depending on the temperature difference between the room and set temperature. It’s not quite so fun as a new television or coffee machine, but a new washing machine on Boxing Day is certainly more fun than having your old machine die suddenly, leaving you rushing to replace it before you run out of clean clothes. If you’re soon due for an upgrade, hit the Boxing Day sales to find a better price on one of the biggest household appliance investments. 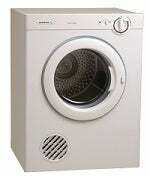 Check out this top loader from the highest rated brand in our latest washing machine review, Fisher & Paykel. From across the ditch, New Zealand appliance producer Fisher & Paykel offers top loaders at the higher end of performance. The 5.5kg QuickSmart model is currently priced at $549 at Appliances Online, 19% off the RRP of $679. The direct drive motor means no mechanical break pulleys or gears, which means the motor lasts longer and operates more reliably. The automatic lint disposal means you don’t need to worry about build-up, while the maximum spin speed of 1000RPM will get your clothes drier faster. The Smart Drive system fine tunes each cycle to match the load, for efficient water use for a top loader. 5.5L is generally a good size for smaller households or apartments. Summer is usually a great time of year for laundry, as the hot sun dries your clothes and linen super quick on the line. However, it’s also the rainy season – the enemy of last-minute laundry runs. A dryer can come in handy when you have items that can’t be hung up to dry or need to be dried far faster than nature can accomplish. Simpson is currently the highest rated brand from our clothes dryer review, so we’ve picked out the following model. Dryers aren’t complicated, so Simpson logically keeps things simple and direct. The Simpson Ezi Loader Vented Dryer uses anti-tangling reverse tumbling for even drying, with delicate settings to protect your fragile fabrics. Auto cool down reduces creasing, while the front lint filter makes cleaning out build-up simple. Front or rear venting gives you the choice of where to direct all of that hot air to best suit your space’s ventilation. The dryer door opening is large so you can rummage through to pick out those socks that always dry so fast, while the child safety lock door keeps curious kids from accidentally having a tumble. Appliances Online offers the 5kg model for $379, which is $180 off the RRP of $559. Given the working we tend to give our ovens to feed family and friends during the holiday season, it may be a good time of year to consider a replacement or upgrade. Plus, a new oven can be more energy efficient and less ‘leaky’ – meaning your whole kitchen doesn’t feel like the oven! Your home really doesn’t need the extra heat in the middle of summer. It may also be worth considering going double, with double ovens becoming more accessible and mainstream. Double ovens mean you can prepare a roast and grill your home-made garlic bread at the same time, or cook two very different dishes (like a sweet and a savoury) without flavours mixing. We currently rate Bosch highest from our annual ovens review, so check out this potential bargain. The Serie | 6 by Bosch is currently 30% off from Appliances Online, turning a two thousand dollar oven investment into a much more reasonable $1,401. This oven is made in Germany and features Bosch’s Eco Clean coating over the ceiling, rear, and side walls to automatically absorb grime and save the effort of cleaning. The full glass inner doors are triple-glazed to keep heat inside where it belongs. The main oven has a 67L volume with a choice of five heating methods: top/bottom heating, 3D Hot Air Plus, bottom heating, grill (large area), and hot air grilling. The secondary (top) oven has a 35L volume, with two heating methods – grill (large area) and top/bottom heating, plus an automatic rapid heat function. If your fridge is getting on in years, summertime is when it’s most likely to cut out as it fights against Australian summer temperatures to keep your food and drinks nice and cool. A broken fridge needs to be repaired or replaced pronto which can be a hassle. End of year sales then may save you later stress by replacing your fridge when it suits you – especially when more of us are home during the holidays looking for cool drinks and frozen snacks to relax with. Our recent fridge review saw Kelvinator rated highest. 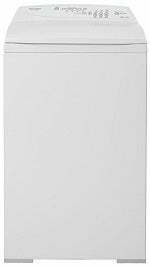 This family-sized fridge can already be found heavily discounted at nearly half price – it’s 43% off at Appliances Online, from $1,449 down to just $828. The fridge includes a full width crisper, three glass shelves, and the FlexStor adjustable door bin system including one deep bottle bin and an egg tray. In the freezer there are two wire baskets, making it easier to find everything easily. Don’t want to hand-wash all of those Christmas dishes? Why not leave them until Boxing Day and buy a new dishwasher on sale to take care of the dishes instead? Okay, that may be a bit much but a nice new dishwasher could be a great present for you and your family to start the next year on a more upgraded note. Miele has been the standout brand in our dishwasher ratings for some time now, so we’ve selected the following model as a potential bargain this Boxing Day. 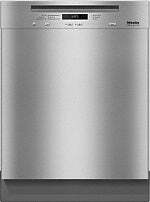 As with everything that the brand produces, Miele makes dishwashers for the high-end kitchen. This built-under dishwasher, with a RRP of $1,999, is rather above the average buy but is an above average appliance. Look out for seasonal discounts for an excuse to upgrade to this premium brand. Standout features include AutoOpen drying, where the dishwasher door automatically opens to allow air flow for better drying, and the delay start timer for up to 24 hours in advance. The flexible basket design includes a cutlery tray, height-adjustable glass holder, and MultiComfort sections that can be rearranged to allow for bulky or oddly-shaped items. Time to buy yourself a Christmas present – easier cleaning! The better the vacuum, the less time and effort you have to spend doing the boring, repetitive task of cleaning up your floors. This is especially true if your family got a new furry family member for Christmas – you’ll need extra help to pick up pet hair. It seems that you get what you pay for when it comes to vacuum cleaners, with premium brand Miele currently top rated in our vacuum cleaners review. 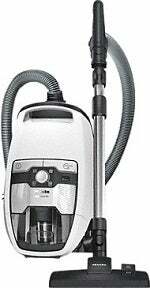 Miele vacuums are highly regarded for strength, reliability, and efficiency. The bagless Blizzard CX1 Excellence Powerline has a 1,100W motor which generates a flow velocity of over 100km/h, which combined with the internal design means that dust and coarse mess are separated in storage, so emptying is far less likely to disturb the dust. It also features automatic protection against overheating, ComfortClean automatic self-cleaning function, and a gentle start motor. Appliances Online currently has it marked down by $70 off RRP, for $629. Holidays (and summer in general) are a perfect time to chill out in front of the TV, watching Netflix or playing video games. Boxing Day Sales offer a great excuse to buy a big flashy TV, especially if you can get it at a great price. If you get in quick you could get a brand spanking new TV just in time to watch the Boxing Day Test cricket match. For our guide to bargains, we’ve selected this Samsung Smart Ultra HD TV, with the brand flying high at the top of our TV ratings. Appliances Online currently has this TV on sale for $2,112, which is a whopping 44% off its RRP – that saves you $1,687. 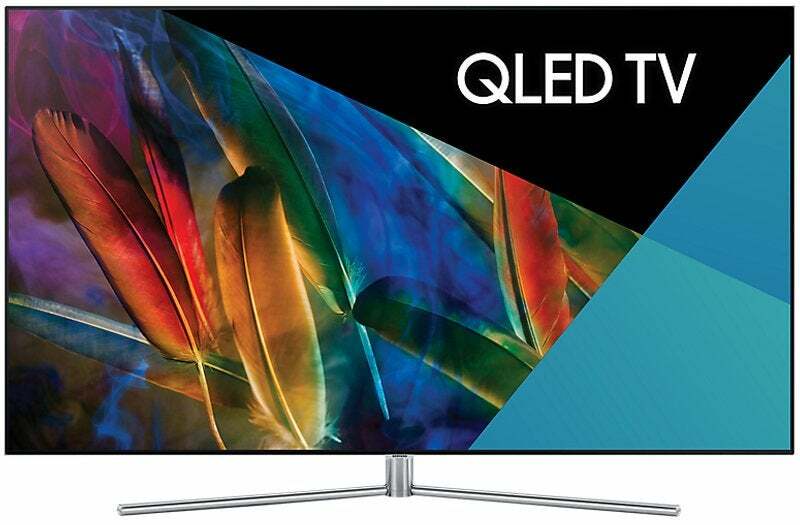 Samsung’s own QLED technology improves upon standard LED brightness and depth, giving a better image from any angle so you can get together and watch the cricket or movies together to share a great viewing experience. The screen is slightly curved – reducing glare – but at this size the curve isn’t so pronounced to be off-putting to those not used to it. It also makes connectivity a lot easier – instead of everything plugging into the back of the TV, a single cable connects to the One Connect box which has all of the ports. This makes your TV’s plugs far more accessible than having to move the TV and navigate a jumbled mess of cords. You can also control this TV using the Samsung Smart View app on your smartphone, or with the included remote control. And, of course, it’s compatible with Netflix. Your existing blender may get a bit of a workout over the festive season and become due for a replacement. Or, you may want to make healthy smoothies to help with that New Year’s Resolution you’ll definitely make (but might not keep). Blenders used to be boring but with the rise of smoothie culture and improvements in blender strength and design, they can really be something to get excited about. Sunbeam was the highest rated brand in our most recent blender review, so we’ve picked out this nifty piece of kit for our guide. Retailing at $149, this blender does more than power through at high or low. Touch buttons offer seven pre-programmed functions to make all kinds of beverages. You can choose from the traditional high and low, smoothie, milkshake, thickshake, cocktails, mix, puree, crush ice and pulse to prepare your perfect drink. The powerful 850W motor and six-way serrated stainless steel detachable blade can cut through ice and frozen fruit with no problem, while the glass jug is tougher and won’t stain like cheaper plastic jugs.